I am so in love with dress pants it's weird! The last pair I wore was in this post here. I just love how dressed up they make any look and that you can style them with a cute heel. 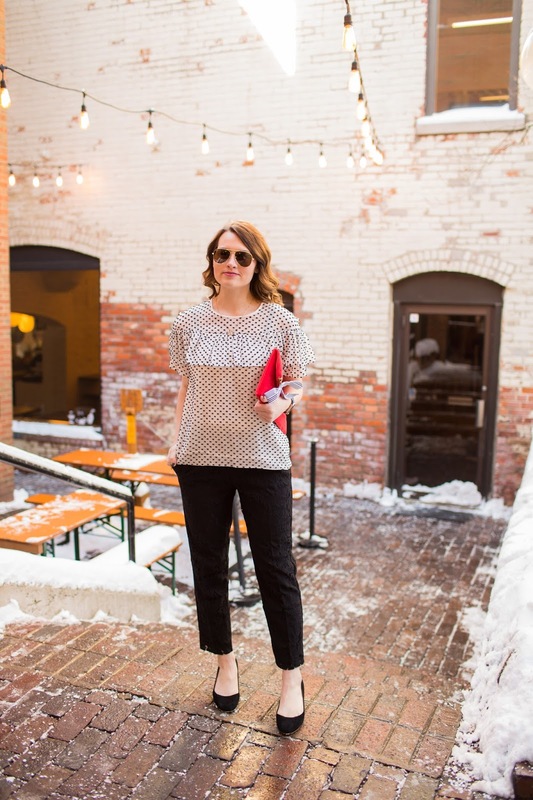 The great thing about these lace pants is they have an elastic waistband making it extremely comfortable to wear but also easy to tuck in a shirt plus they are under $40! Well I get ready for the holidays I am also getting ready to go on vacation after the New Year so I have been doing so much shopping! Let me know if you know of any places that have cute resort wear right now. Love how subtle the lace detailing is! Perfect for so many different occasions. 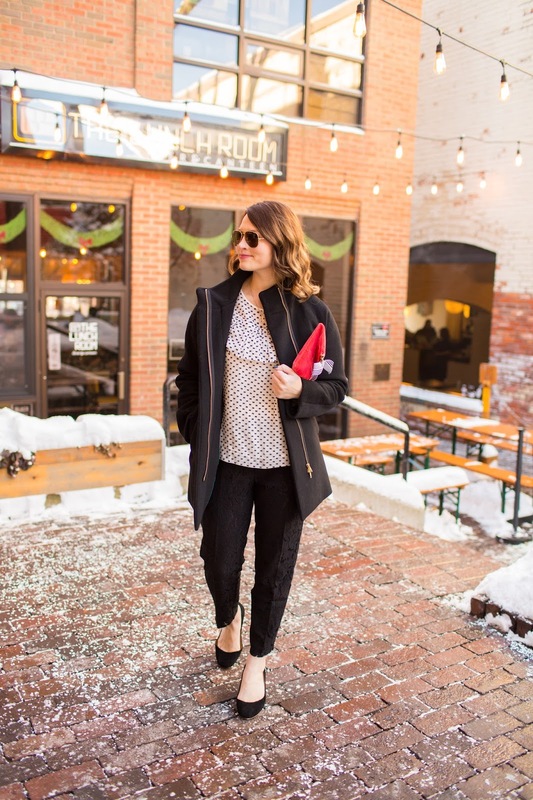 How sassy are these lace pants! Love that detail. 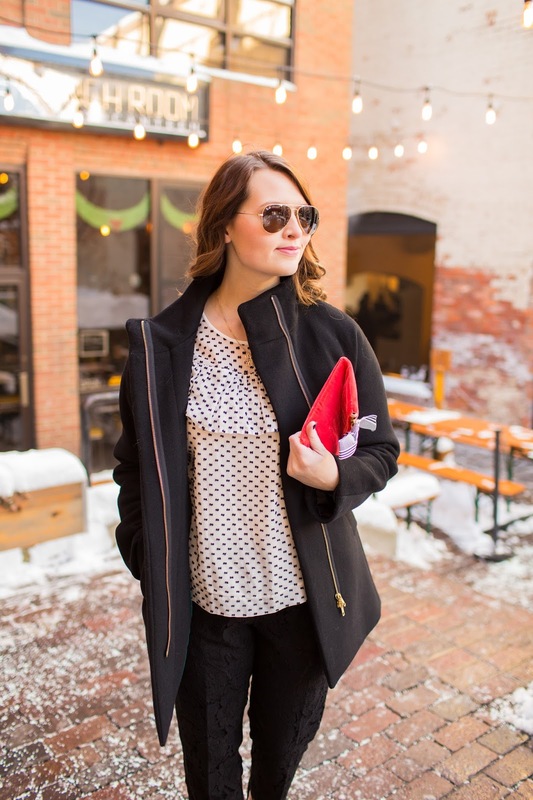 What a chic pair of pants! I love the subtle lace detailing. 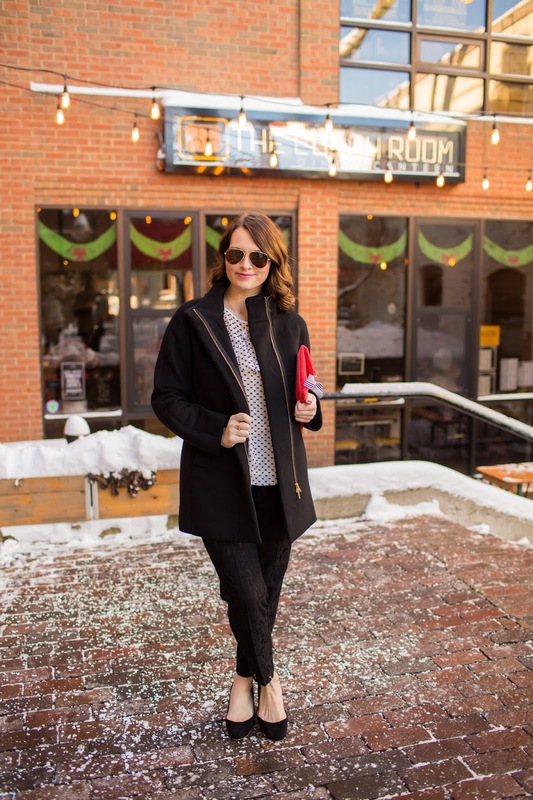 It's an unexpected style and perfect for work or for play! 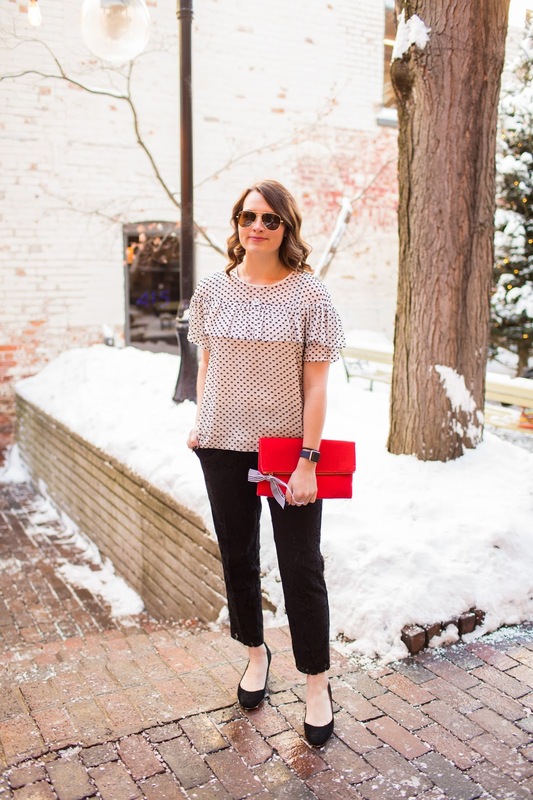 Those lace pants are so chic and I love your ruffle polka dot blouse as well. 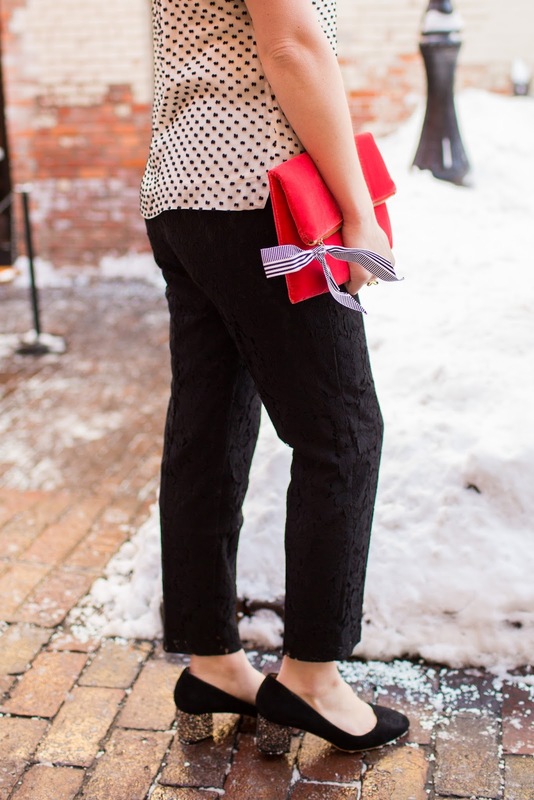 Love that the lace elevates the plain black pant. So cute! Beautiful!! Love those pants. Love how you styled them! Adorable look and love the snow!